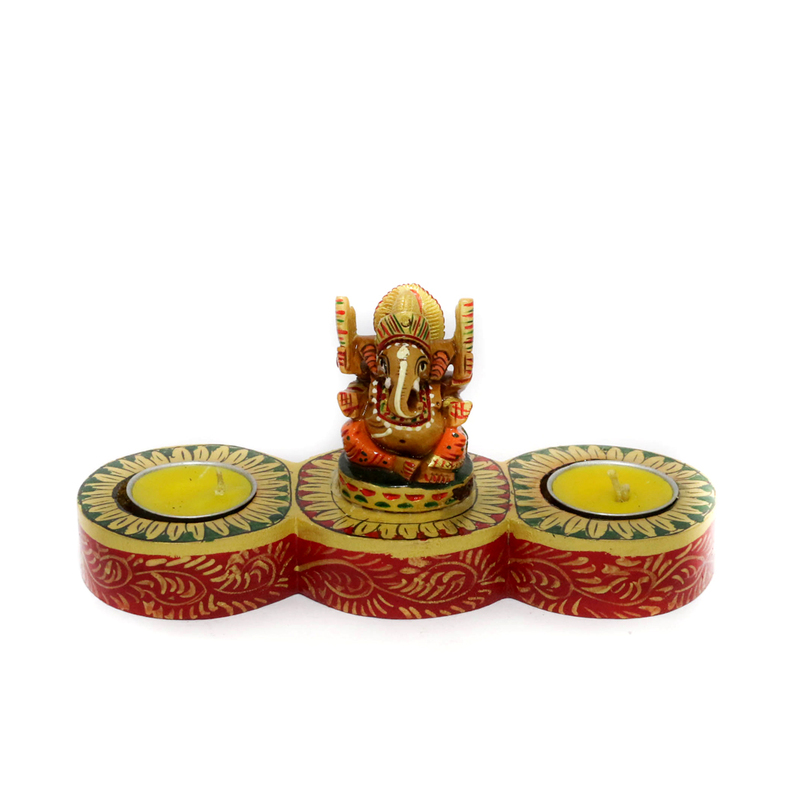 Considering the festival of lights and keeping in mind the importance of Ganesh ji in our lives, this 2T- candle stand has been carved out Read More..of wood. This can be an absolute choice for Diwali since it has candles on both ends with Ganesh idol residing in the middle. Show Less..